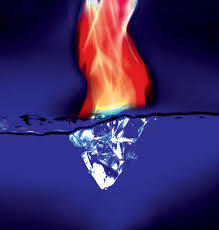 WHAT IS A FIRE AND ICE TREATMENT? Designed to resurface the skin, this intensive clinical treatment reduces fine lines and wrinkles and provides deep cleansing of blocked pores. It’s a multi-step treatment with two masque applications followed by application of a serum and a cream to soothe and moisturize the skin. The treatment takes only 20-30 minutes, but is incredibly effective and to the point. The “Fire” portion of the treatment is an Intensive Resurfacing Masque clinically formulated with 18% unbuffered glycolic acid, citric acid, lactic acid, malic acid, vitamin B3, retinol and potent antioxidants, including green tea extracts. The treatment is designed for use on the face, neck and décolleté. Some people find this portion of the treatment to be uncomfortable, but it lasts only 2-3 minutes. Most people however tolerate it well. There is a strong fragrance that resembles cinnamon for this portion of the treatment. The “Ice” portion is a rejuvenating, cool, soothing and intensively hydrating masque with hyaluronic acid, Japanese green tea extracts, aloe vera gel, licorice extracts, rosemary extracts and grape seed extracts. This second masque cools the initial peel to leave the skin invigorated and glowing. The Ice portion stays on your face for about 5 minutes. WHO IS A GOOD CANDIDATE FOR THIS FACIAL? After a final cleanse, a moisturizing serum and a strong sunscreen are applied to the face. Some people experience redness for a short time after treatment. This should subside within minutes or at the longest, a couple of hours. Be sure to wear a sunscreen for several days (Our esthetician strongly recommends ALWAYS wearing sunscreen) and avoid prolonged and direct sun exposure. People often confuse this treatment with facials. This is more like a chemical peel, with deeper, long lasting results, but without any downtime. Whereas a facial moisturizes and cleanses, this lasts much longer. A facial is very surface – it’s wonderful, relaxing and includes massage, but it’s more effective as maintenance than at creating deep change. To really target wrinkles, hyper-pigmentation, skin tone evenness and firmness, you need to work from the inside out. The Fire and Ice Treatment is a chemical exfoliant that gets into the skin to target the deeper layers, eating toxins as it goes and encouraging the growth of collagen. This treatment is a great way to get ready for big events like weddings, reunions, date night or speaking engagements. 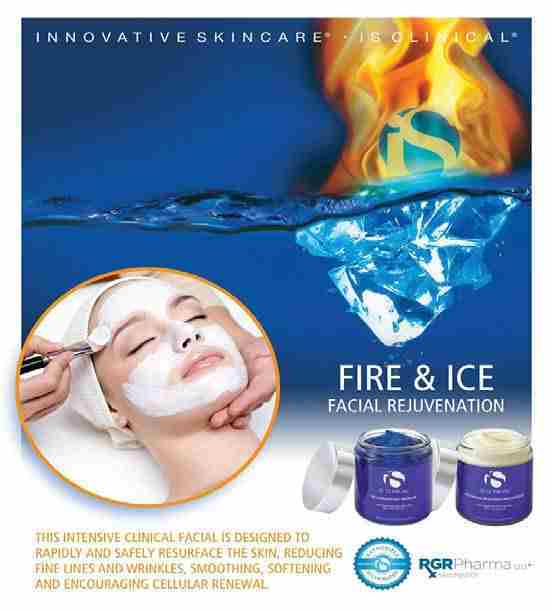 THE DOCTORS REVIEW FIRE & ICE FACIAL REJUVENATION TREATMENT! This facial utilizes pharmaceutical grade products to cleanse, treat, hydrate and protect your skin.